1. 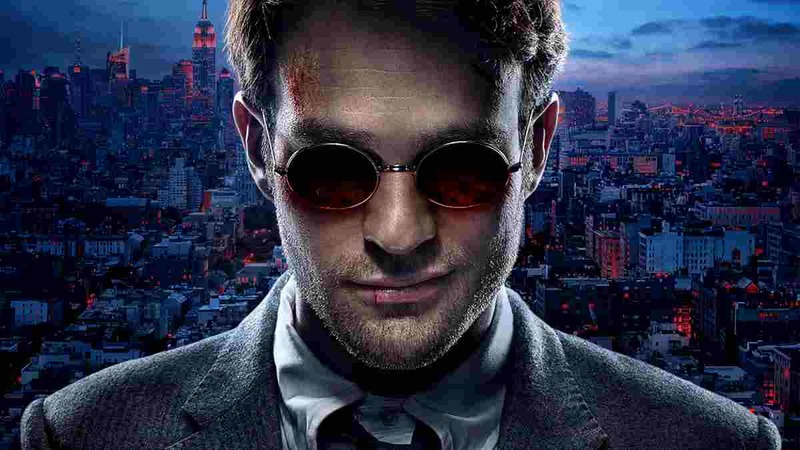 The Netflix original series Daredevil is a must see. And after checking out the rave reviews, the Das Keyboard team isn’t alone. The storyline (in short) is about a man who was blinded as a child by a freak accident. But, in a twist, he gains superhuman senses that allow him to see the world in a completely different way. He’s an attorney by day, vigilante by night…who can say no to that? Pop some popcorn and let the binge watching begin. 2. It’s that time of year…the mosquitoes are out and ready to bite. Which means that you can either wear long pants and sleeves or carry around bug spray to protect yourself. However, there’s that one day you forget to do either and you painfully pay the price. And the worst part is, you don’t know your true fate until the next day. A home remedy that you can use (that actually works without costing a lot!) is to put rubbing alcohol (or any kind of super proof alcohol) on the bites. It does offer for a bit of instant relief, which is good, but the true magic comes the next day. 3. Ah, Heartless Machine. How we think you are awesome. Not only does your stuff look cool, but it actually brings the music to life. Yes, it’s not exactly cheap, but if you’re not in the market for an $425+ awesome contraption that plays music and looks wonderful, you can still enjoy this video. Have skills you want to teach others. Check out lynda.com. With over 3,500 video courses ranging from technical to business strategies, lynda.com has is all. The best part is, all you have to do to have unlimited access to all video courses is to spend $19.99 a month. Which is a fraction (and I mean fraction) of the cost you’d pay for an online course…pretty much…anywhere else. It lets you take control of your email. You can write emails then schedule them to send at a specific time. You can choose to archive an email and Boomerang will resend the email (marked unread) at the time and date you request it. You can set reminders on an email if you don’t receive a reply or…just because. Write reminder emails to yourself (that will be delivered when you actually need the reminder), which is great when you’re out of the office and remember something critical you forgot to put on your to do list. You can rule the world…well maybe not, but if you’re like us, you get tons of emails daily, and Boomerang can help you to get organized.